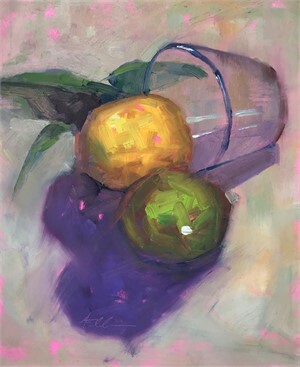 Painting in an impressionistic style with subjects that depict calm, Ann’s hushed backgrounds play with the abstract and the paintings primary subject depicts realism. This sharp contrast between soft and crisp is uniquely created. 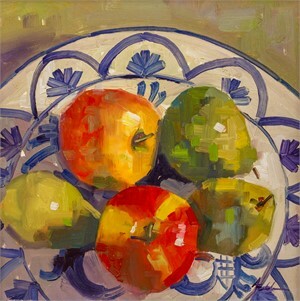 Ann employs short horizontal and vertical brush strokes or fractures the image with a palette knife. 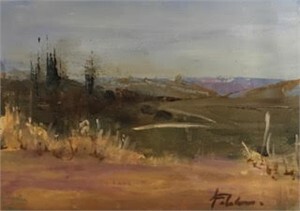 Her signature brush stroke is a dab of pure white, indicating the sunlight touching the subject. 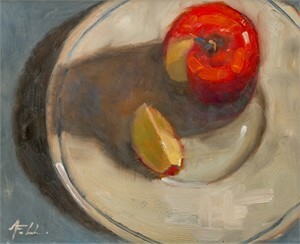 Her treatment of shadows help to blend the realism with the abstract. 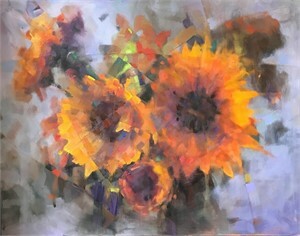 Many of Ann’s pieces are painted in a loose style where her brush strokes are blended with very thick paint (Impasto) applied with palette knives to achieve an exciting, light-filled contrast. 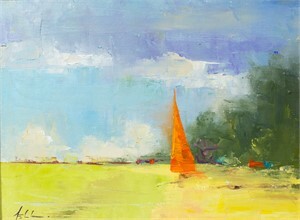 Born and raised in New Orleans, Ann is a painter and art instructor living in Barrington, Illinois. 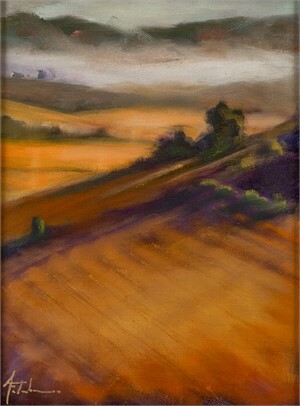 Her art education began at the School of the Art Institute of Chicago. She continued her studies in the ateliers of some of the leading contemporary artists in the United States today, namely a five year mentorship with Margaret Carter Baumgaertner in Portraiture. 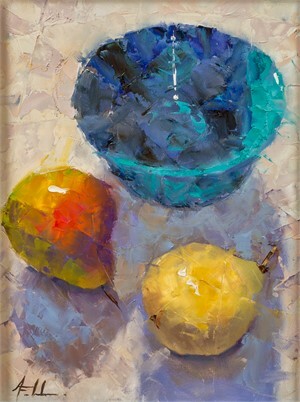 Ann teaches art at Harper College in Illinois and conducts painting workshops in Impressionistic painting techniques and portraiture. 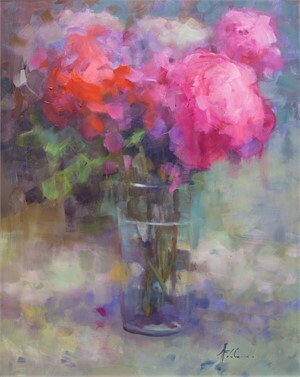 She is represented by J. Petter Galleries in Saugatuck/Douglas, Michigan. 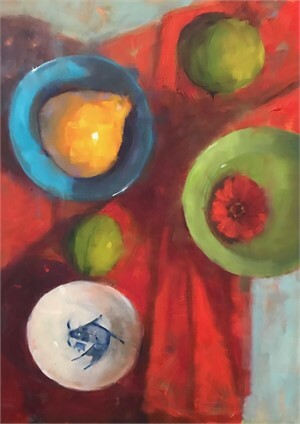 Artist Statement: “I enjoy pushing the boundaries between reality and abstraction in my art.” Process: Painting in an impressionistic style with subjects that depict calm, Ann’s hushed backgrounds play with the abstract and the paintings primary subject depicts realism. This sharp contrast between soft and crisp is uniquely created. 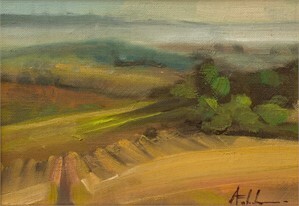 Ann employs short horizontal and vertical brush strokes or fractures the image with a palette knife. 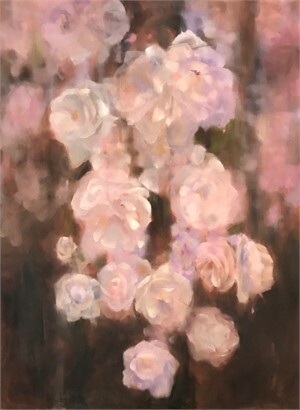 Her signature brush stroke is a dab of pure white, indicating the sunlight touching the subject. 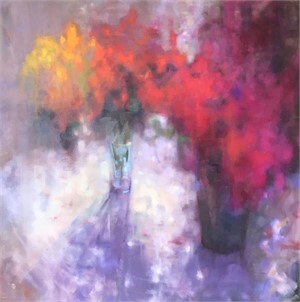 Her treatment of shadows help to blend the realism with the abstract. 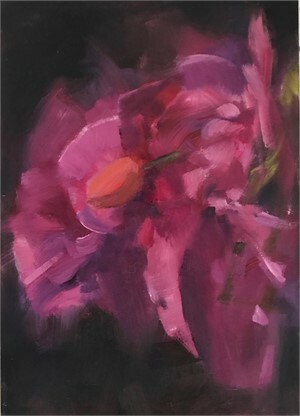 Many of Ann’s pieces are painted in a loose style where her brush strokes are blended with very thick paint (Impasto) applied with palette knives to achieve an exciting, light-filled contrast. 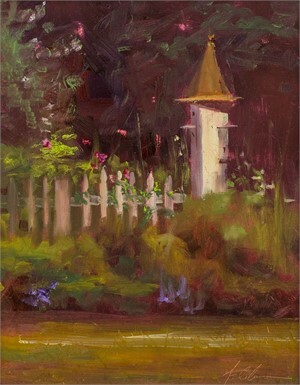 About: Born and raised in New Orleans, Ann is a painter and art instructor living in Barrington, Illinois. 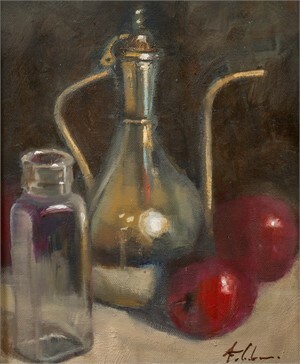 Her art education began at the School of the Art Institute of Chicago. 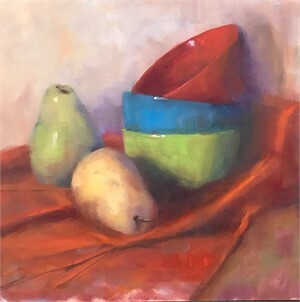 She continued her studies in the ateliers of some of the leading contemporary artists in the United States today, namely a five year mentorship with Margaret Carter Baumgaertner in Portraiture. 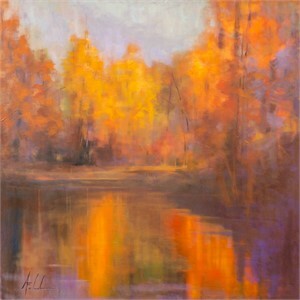 Ann teaches art at Harper College in Illinois and conducts painting workshops in Impressionistic painting techniques and portraiture. 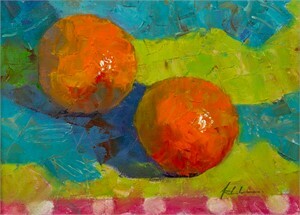 She is represented by J. Petter Galleries in Saugatuck/Douglas, Michigan.